Werder Bremen got into the holiday spirit in their match against RB Leipzig on Saturday when a back pass from Max Kruse—a striker who was incredibly far back, for some reason—to keeper Jiří Pavlenka went horribly awry and drifted to the feet of Timo Werner, gifting the German striker one of the easiest goals of his career. Warning: if you’ve made this mistake in FIFA before, look away before your instincts to throw a nearby controller kicks in. 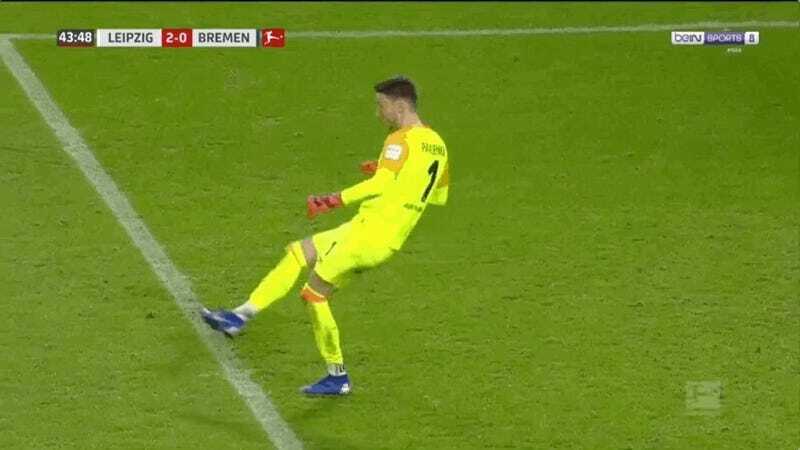 This comical mistake was almost wiped away in the second half, when Joshua “Wonderteen” Sargent tied the game at two for Werder. Thankfully, Bruma scored a late winner for Leipzig to keep this goal relevant.